Open water, advance or rescue? 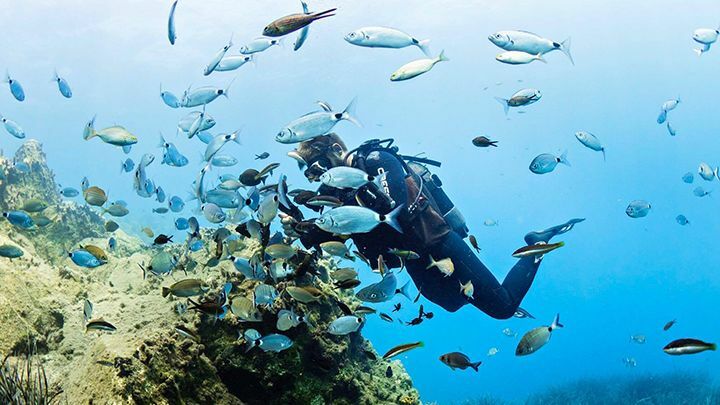 No worries, whatever your certification is we have a dive spot for you. Santorini and it´s unique composition offers a great variety of diving for all levels, while the general conditions of the island, it´s lack of currents and absence of tides makes it a perfect spot for diving, also the great visibility of 20 to 30m, 60 to 90feet, and mild water temperatures makes it a perfect spot for diving. 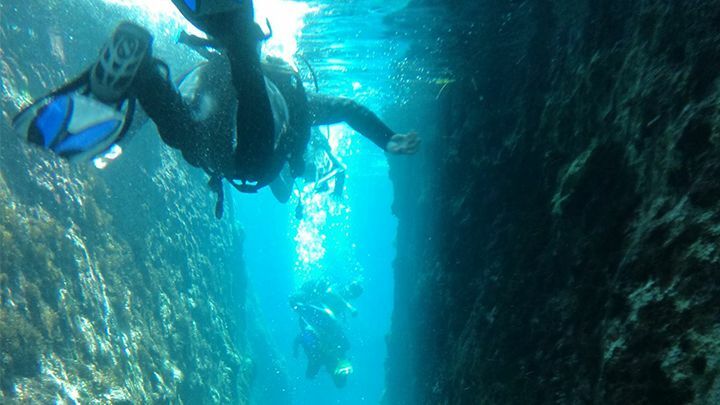 In the east and south coast you´ll find the shallowest dives, but not for that the least interesting, for example in the south there are the famous lava caverns, or in the east, the only non-volcanic diving of the island in between Perissa and Kamari. 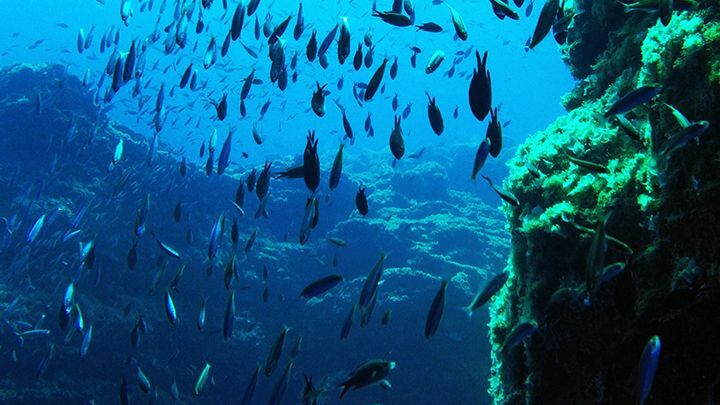 Inside the caldera, we have a wide variety of dives,spectacular wallscreated after the volcanic eruption of 1640 b.C, is also possible to dive on the two volcanoes, and also there are a variety of wrecks at different depths, starting from 4m (12feet) until 30m (90feet). 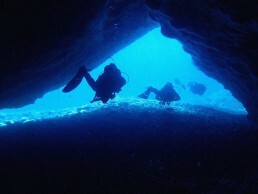 The island of Thirassia was once connected to Santorini, before the volcanic eruption, and it now offers a variety of wall diving opportunities. 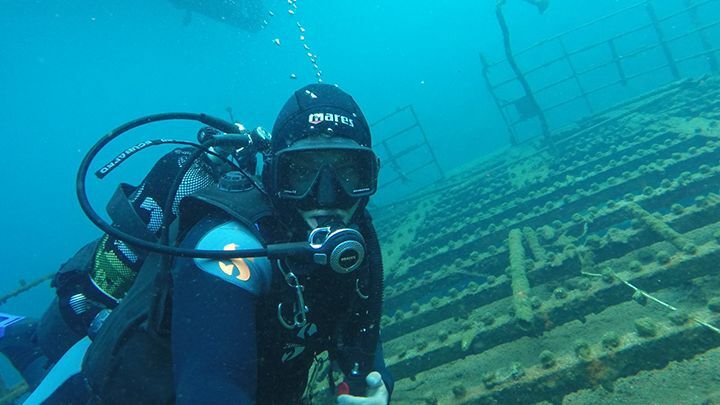 PaleaKameni, literally from Greek “The Old Burnt”, this active volcano offers us a very beautiful wreck dive, right next to the hot springs, with a maximum depth of 15m, or in it’s south side we can find another wreck, this one located at 30m. 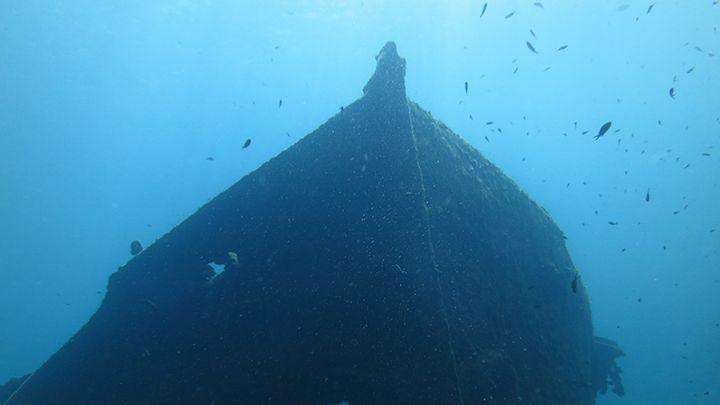 NeaKameni, which in Greek means “The New Burnt”, also has a nice wreck. 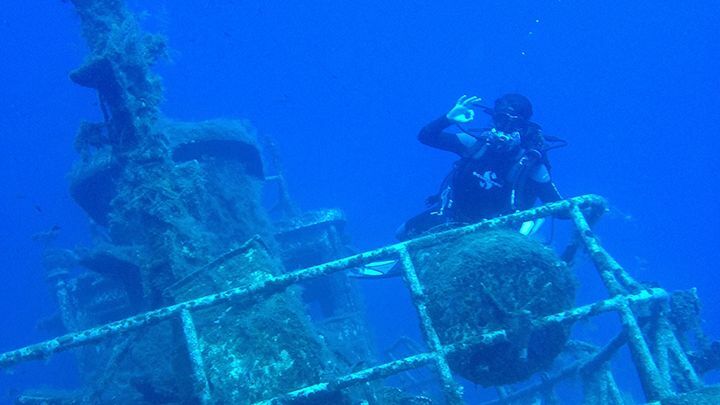 Get ready to explore the magnificent volcanic waters of Santorini?Sign now for our daily certified divers excursions.Two dives in one morning that will make you discover the crystal clear watersof the Aegean sea and its ancient beauty. during your experience with us. service, wifi and lounge area. 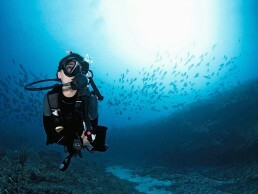 Thinking to dive more than once in our beautiful island? Check our days package offers and submerge yourself in history! After sunset, fun just starts!